Beautiful country property surrounded by farm land. Just far enough to be away from the city to relax, yet close enough enjoy the conveniences of Perry, Webberville, and Williamston. 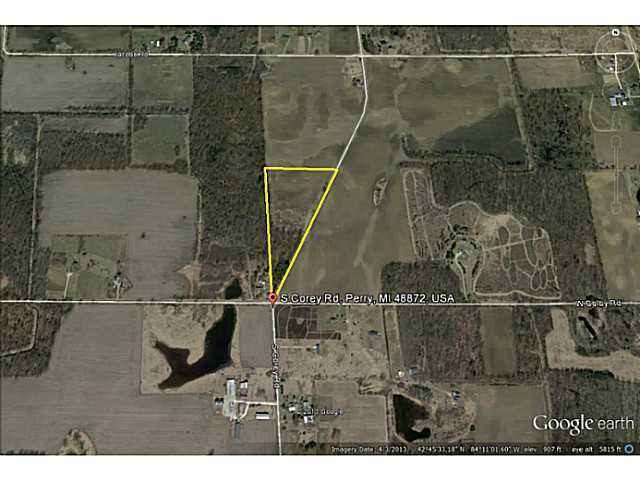 This property is just over 10.5 acres and is located in Perry School District. Approximately half of the property is wooded and the other half is open with a very nice home site. The perk test was completed in 2004 and the property is approved by the Ingham County Health Department for an engineered pressure dose mound system. The survey was completed in 2005, copies of both are available. For additional information on this property click here!